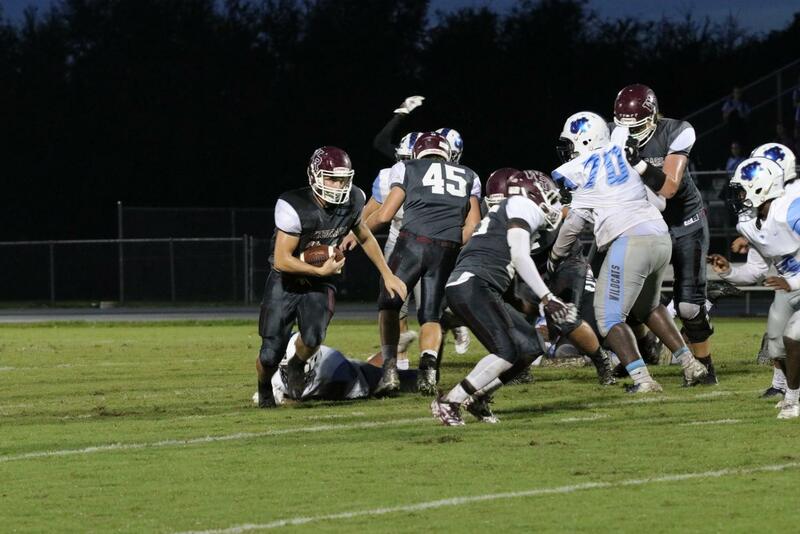 Wiregrass Ranch Varsity Football team beat the Wesley Chapel Wildcats, in the “Battle for Chapel”, 43-14 on Friday night. This rivalry game is always highly anticipated, with Wiregrass victorious in the last 5 meetings. The Bulls rush the field, ready for the big rivalry game. The Bulls were coming off their season opener loss to the Zephryhills Bulldogs, 34-18 in a tough rainy game where the Bulls struggled to click on all three aspects of the game. 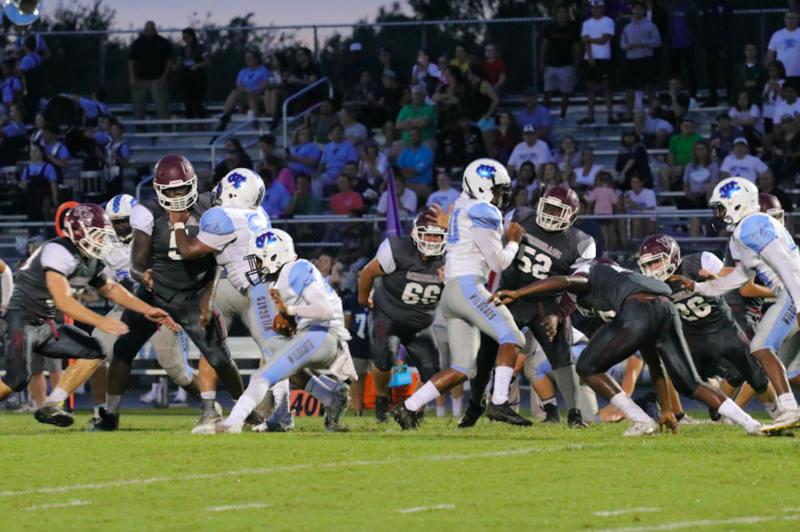 Wiregrass started out well with a 10-0 lead in the first half, but the Bulls quickly deteriorated and ended up only scoring 8 more points the rest of the game. Head coach Mark Kantor knew what his team had to change prior to this rivalry game. “We need to take better care of the ball, play more aggressive,” Coach Kantor said. As fans packed into the stands, the Bulls took an early lead with a touchdown pass from Quarterback Grant Sessums to Wide Receiver Hunter Helton. Helton also caught the 2-point conversion to put the Bulls up 8-0. The Wildcats answered with a touchdown of their own to put the game at 8-7. Nathan Miller cuts to the outside to get around the Wildcat’s defense to score a touchdown on the play. The Bulls put together another impressive drive down the field with Running Back Nathan Miller running a touchdown into the red zone to put the Bulls up 15-7. 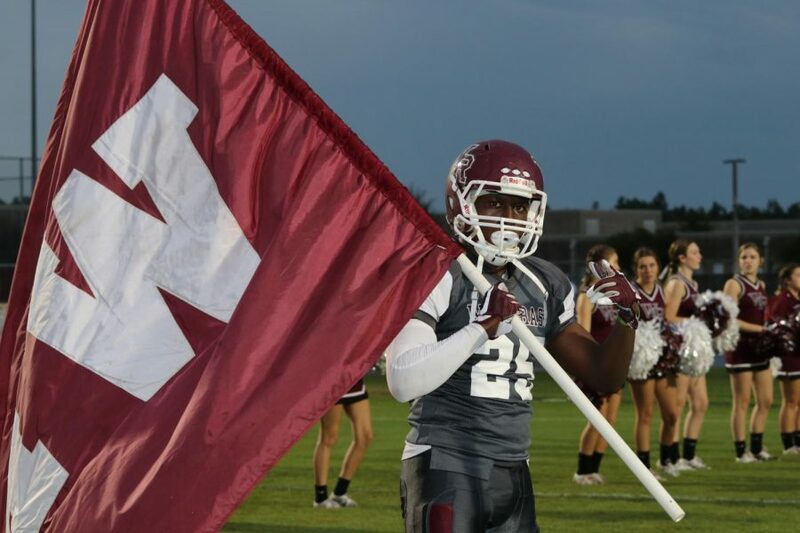 Wiregrass continued to widen the margin of score with a 45-yard touchdown pass from Sessums to Wide Receiver Keith Walker that made the score 22-7. Throughout the second quarter the Bulls put a lot of defensive pressure on Wildcats Quarterback Jelani Vassell, forcing Vassell to have to escape the collapsing pocket. The Bulls returned from halftime refreshed and dominated, adding another 3 touchdowns to their total. One touchdown, a 91-yard pass to Helton that had the stadium in an uproar. The defense gave up one touchdown this quarter to the Wildcats, making the score 43-14. The Bulls defense swarm the Wildcats as they did all night. The 4th quarter went scoreless, and the game ended a 29-point blowout. The standout of game was Quarterback Grant Sessums who threw close to 200-yards, completed 3 touchdown passes, and gained several yards off big runs. Sessums was able to play more freely in the backfield unlike last week where Zephryhills pressured him on almost every play. Grant was happy that the Bull’s offense put up a number of deep drives which is a good sign for future games this season. “This was the first time our offense was really clicking, which obviously builds a lot of confidence going into the next game,” Sessums said. 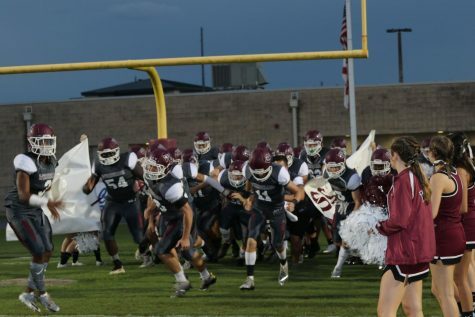 The Bulls look to improve their 1-1 start next Friday, September 7th, against Sunlake High School who are also 1-1 and coming off a loss to Zephryhills.